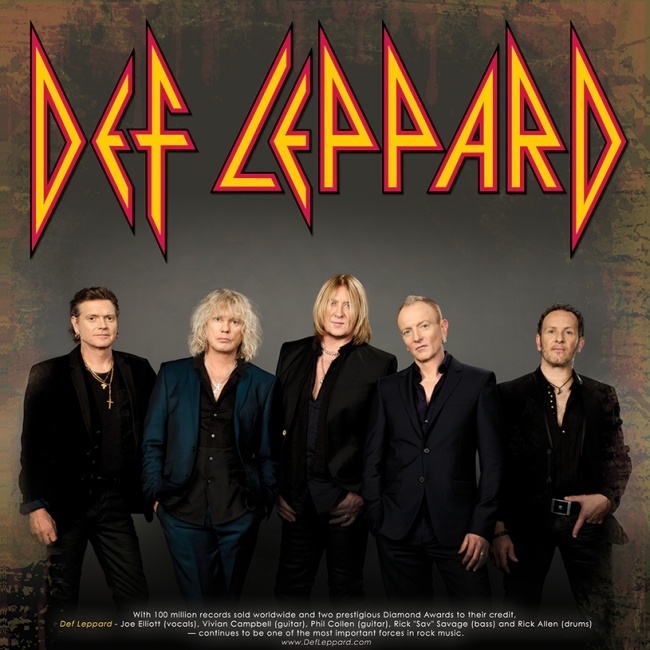 Def Leppard will return to Lithuania to play a show in Vilnius on 17th May 2015 it was announced earlier today. The band will return to the Siemens Arena on 17th May during their 2015 European Tour. This will be the third time the band have played in the city after visits in 2003 and 2008. The November 2003 show at the Sporthalle was their first ever show in Lithuania. The Siemens Arena was first played on the 2008 tour. In recent years Vivian Campbell stated that the 2008 Vilnius crowd was the loudest and most enthusiastic audience the band had ever played for. 11 shows have now been announced for the 2015 world tour. All in Europe. Vivian mentioned a possible North American show anouncement for last week but as yet no dates have been published. David Coverdale of Whitesnake recently told DJ Eddie Trunk the band would be touring the US (for their new studio album) in June 2015 with some "old friends". So far the only possible co-headliner/special guest that has surfaced (other than a repeat with KISS). A short 30 second advert for the Vilnius show has been posted by the local ticket agency. The first show in since June 2008 on the Songs From The Sparkle Lounge tour. "True rock fans coming May 17th on your calendar should have a red. On that day they will have a unique opportunity to see their gods - one of the most famous rock band Def Leppard. Groups Led Zeppelin or Pink Floyd fame without landing Def Leppard concert in Vilnius Siemens Arena promises during the stormy music fans drown at sea - here they will perform their cult, timeless creations."